If you are planning to create an eBook, you should check this review of Designrr eBook creator. It claims to make the process easier and make the eBooks in 30 seconds from already existing source. Let’s check how true that claim is? One of the most used methods for lead generation is offering something in return. Most of the bloggers use ebooks as a method of generating leads or increasing their email subscription rates. Creating ebooks can be a time-consuming task, especially if you are not used to word processing. Microsoft Word or Apple Pages can create eBooks for you. You need to spend some time in formatting your content and tailor content according to your book theme. Once done, you can easily export it as a PDF or convert it into eBooks. Apple Pages also supports the eBook creation and comes with basic book templates. It can help you create epubs or more interactive books for iBooks. Why should we look for ebook creation software? If you can create ebooks with the free software like Apple Pages on Mac or with easy to available Microsoft Word, why should we look for ebook creation software? First, if a software can save you a lot of time, it’s definitely worth it. Second, creating books is not a one-time thing. Time to time, you need to update your eBooks, add new information or delete obsolete information etc. A software can make that easy by managing your eBooks as a project and make sure no other formatting issues happen because of your editing. You should just make your changes and regenerate the eBook. Third, It should take care of multiple formats. You can distribute your eBooks on multiple platforms like Kindle, as a PDF, iBooks etc. Without a software, you need to create all different format and it should be done each time you modify anything in your eBook. 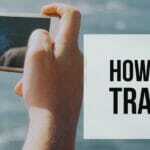 A software should take of this thing and convert your content into all different formats. So these are my expectation from any ebook creation software. Do you have any other expectations? I recently come across a service called Designrr which claims to create eBooks in 30 seconds from existing sources. To be honest, as soon as I read it, I knew it was a marketing pitch. So rather than focusing on the 30 seconds claim, we will check if it can help in ebook creation and save some time in the process. Designrr is a cloud-based service which allows you to create an ebook from scratch. 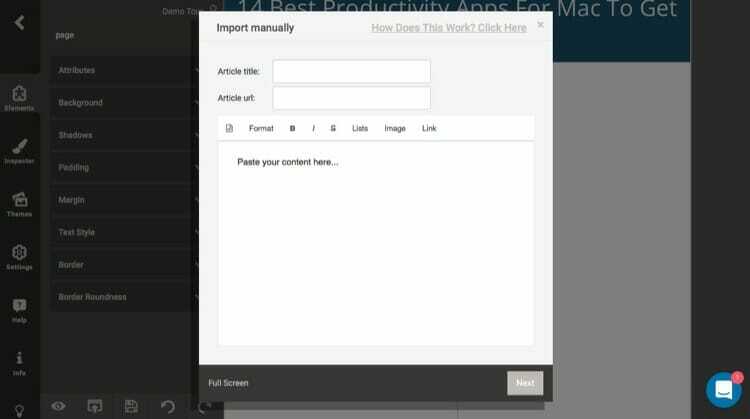 You can import any existing content from multiple sources or write it fresh. We will take a look at both scenarios to understand how Designrr ebook creator handles them. First, let’s take a look at import from existing sources. If you have any word document, PDF or blog posts which you want to convert into an eBook, you can use this service. Designrr allows you to import the content from multiple different sources including Facebook, Word, PDF or from any URL. On a standard license it is limited to URL, Word, and Facebook. Once you select the source, you will be asked some more details about it and it will load the content into your ebook. The true power of an ebook creator lies in taking multiple sources and format them according to your ebook theme. Once your content is loaded, you will have to choose from many pre-created templates. There are many templates available including two column templates. Just select the template and your content will be loaded in a specific format to create an ebook in seconds. That’s the 30-second ebook which they claim but can you ship your ebook like this? The answer will be “No” in 99.9% of cases. You have to look into the text formatting, breakups, include images, branding and other things before shipping that ebook. So you need to spend some time on the ebook editor screen to format it correctly before you can export your ebook. You can also create an empty project and write the complete ebook from scratch in Designrr. 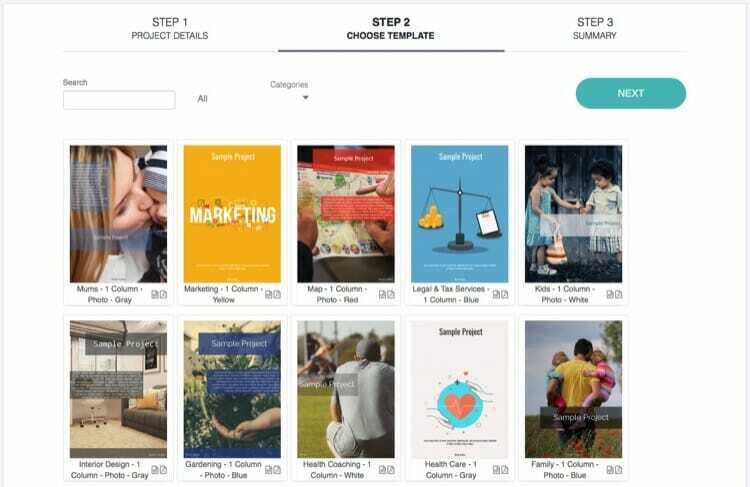 The steps are similar, you need to choose the template and theme for the ebook. Just that there will not be any content and you can add your content in the edit screen. 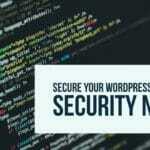 Suggested Read: Should You Buy Elegant Theme Membership Plan? 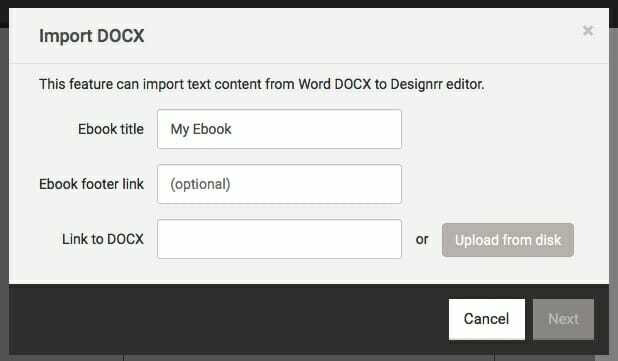 Designrr eBook Creator has a cloud editing functionality which allows you to edit and format your ebook. Designrr divides the complete ebook into block pieces like a page, paragraph, statement etc. You can edit each block and change the looks and layout accordingly. So while making changes make sure you are selecting the correct block like changes on Page will affect each paragraph on the page etc. You can override those settings on the paragraph block. To start with, you need to select the overall theme of the ebook. This theme defines the key components like header, text, footer etc. in your ebook. It has around 21 themes which you can use format your ebook. Once you have finalized the theme, you can start adding pages and content to your ebook. There are two other views which are important – Elements and Inspector. Elements allow you to add a page, media, Facebook post or comments, Typography elements like a link, label, list etc. Inspector allows you to fine-tune each and every element of your ebook. So once you start editing, you just need to add pages and set the layout accordingly. You have access to divider, labels, paragraph, images etc to create a layout you want for the ebook. Each element comes with a complete set of settings like background, shadow, text alignment, padding, border etc. You always have a repaginate button which can rearrange the whole ebook after you are done with your changes. You can also include additional blog posts with a new article element. It can import the article from a URL or you can copy paste it in the import manually screen. Designrr Ebook creator comes with two type of CTA, inline or regular. You can easily add those from elements panel to your ebook. There are many options available to format your CTA’s. You can include images, heading, button, label etc. As soon as you drop the CTA on the page, you will get pre-defined CTA format which you can update. You can also add additional elements to create different layouts. 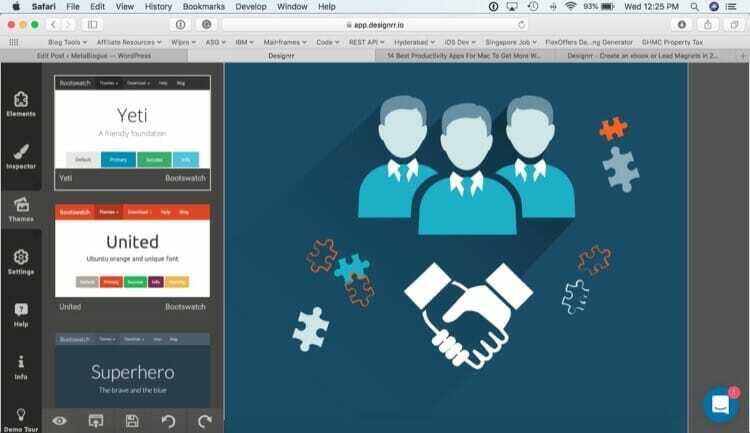 This is one of the handy features of Designrr and if you are using their services for lead generation, you will appreciate this. This is where most people will have a problem with this service. Their plans are made for doing upsell so you always feel short of things until you upgrade. There are 3 available plan – Standard, Pro, and Agency. The standard plan comes with 10 active projects so, at any time, you can work on 10 ebooks. The limitation includes no table of content, page numbers, no support for any other format excluding PDF and no 3D ebook covers. 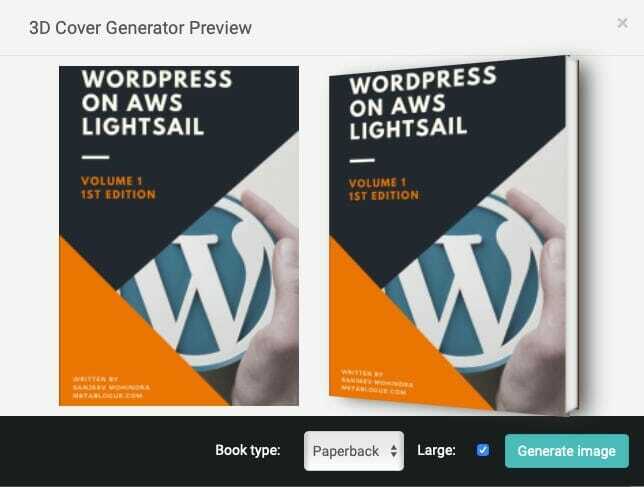 This plan is good if you want to offer the eBooks as lead generation goodies on your blog and use other services for generating eBook covers. You have to download the PDF and edit in outside tools to convert it for Kindle or iBooks. This means another formatting effort and it defeats the purpose of having a tool in first place. If you want to do that, check Pro and Agency license. The only reason to buy this plan is if you are looking for a tool to create PDF eBooks and not good with formatting techniques in Word or Pages. This tool might feel very simple compare to menu options and other shortcodes in Word or Pages. If you are planning to buy this, you can use this offer of $27 one-time payment for lifetime standard license of Designrr eBook creator. This way you can get the lifetime standard license for as low as one month fee. 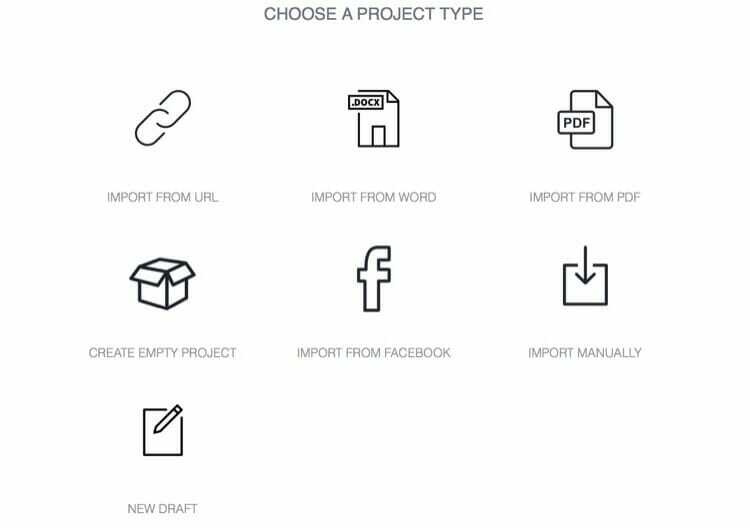 Pro plans include 100 active projects and allow you to export your project as Kindle or Mobi ebooks. It also has features like Table of content, Page numbers or 3D cover generation. 3D cover generation is one of the good small tool which can help you generate displayable images for your signup forms. You would usually need to use external tool or pay someone on Fiverr to get this done, with the pro plan you can do it right from Designrr. This tool allows you to generate the 3D image as paperback or hardcover. Just download the image and create your subscription forms. The only downside of this plan is cost. If you are not actively writing ebooks and utilizing the service, you will not justify the cost of this plan. This plan is most expensive and most comprehensive. It includes everything which Designrr has to offer but it comes at a steep price. I would not recommend going with this plan until unless you are a writer and planning to write many big ebooks. So here you go, I only recommend Standard license with the one-time payment offer. Other plans are not for regular people and will not help much in case you create eBooks once in a while. If you are a writer and looking a tool to format your ebooks, you can check pro and agency license. Would you even recommend it for bloggers who are very new into blogging and still not sure whether to invest in making an ebook? I think everyone will need it at some point in time. Their one-time payment option for the standard plan is very cheap and can give a good idea of the tool. Even if you don’t want to write a new ebook from the start, no harm in converting existing posts into a PDF and distributing. I have thought for a long time that I should write an ebook, but have never investigated how to actually do it. Thanks for giving me a glimpse into what it entails. Glad this post was helpful. If you want to give it a try, use the standard version first to get an idea about the products. If you like it, you can always upgrade to higher versions. This was so insightful. I really had no clue where to begin or the process of making a ebook and I am thrilled to learn. Well written and clear to understand directions thank you. Glad that you found this post helpful. Designrr can help a lot in terms of format and generate eBooks with its easy to use text editor options. Good product if you are not comfortable with the editing option on Word. 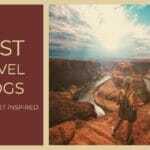 This is a really interesting post, I learned a lot about creating an eBook and your instruction was really easy to follow. Thanks for liking the post. 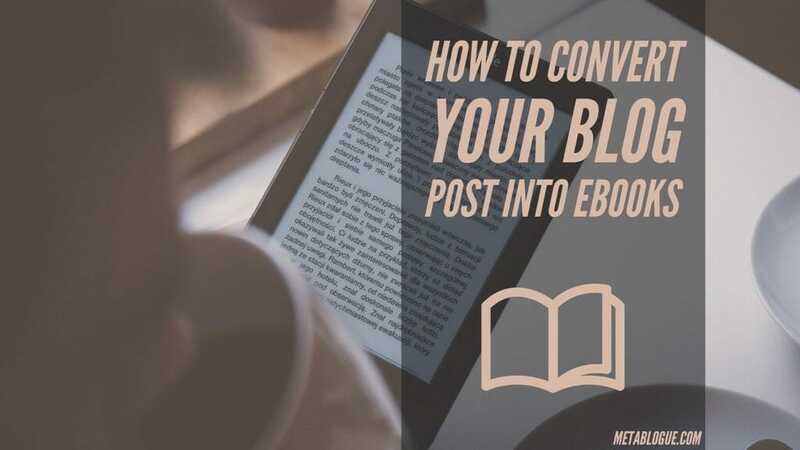 Hope it will motivate you to convert some of your posts into an eBook. I’ve used this program before and continue to use it. Although there are quirks and limitations, I find that it is super helpful creating content upgrades, saving a ton of time. I agree there are some bugs but it can be worked around. Once we get a hang of the product it becomes super easy to create those good-looking PDFs from existing content.